(E46 E65 E81 E83 E87 E90. E81 (02/2006 — 12/2011). 1' E87 (02/2003 — 02/2007). 1' E87 LCI 01/2006 — 06/2011). X3 E83 (01/2003 — 07/2006). X3 E83 LCI (02/2006 — 08/2010). 7' E65 (02/2000 — 07/2008). Hi this genuine BMW 6 CD changer end wiring was removed from an E46 changer. THE LAST PICTURE SHOWS THE E46 TYPE CD CHANGER THESE PLUGS FIT. OEM Part number: 8364931. Fits 1 Series E81 E82 E87 E88. Fits 3 Series E90 E91 E92 E93. 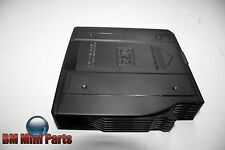 Genuine Used BMW 6 CD Changer Magazine. Genuine used part with 3 month warranty. All new parts are supplied with a 12 months warranty. Bmw 2009 cd player no button on off switch as i lost it when i took it out of car. Removed from a 1995 BMW 8 SERIES E31 840CI 3982 AUTOMATIC PETROL Oxford Green 324 Coupe this CD Multi Changer suits E36 3 Series E34 5 Series E32 7 Series E31 8 Series models The BMW Part Number for this item is 65128361058 Please use all the information supplied in this listing to ensure this item is compatible with your Vehicle. If you have any questions please contact us quoting "Tag Number 41594 . Removed from a 2005 BMW 3 SERIES E90 320D SE 1995 6 Speed MANUAL DIESEL Sprklng Graphite A22 4 DOOR SALOON this CD Multi Changer Suits E87 1 Series E90 3 Series models up to JUNE 2005 PLEASE NOTE THIS PART NEEDS TESTING ! 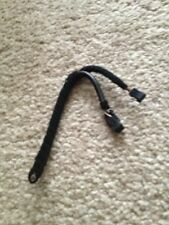 The BMW Part Number for this item is 65126964606 Please use all the information supplied in this listing to ensure this item is compatible with your Vehicle. If you have any questions please contact us quoting "Tag Number 27108 . Removed from a 1997 BMW 5 SERIES E39 523I SE 2494 5 Speed AUTOMATIC PETROL Arctic Silver 309 4 DOOR SALOON this CD Multi Changer suits E39 5 series models The BMW Part Number for this item is 65126913388 Please use all the information supplied in this listing to ensure this item is compatible with your Vehicle. If you have any questions please contact us quoting "Tag Number 39011 . This includes NI. Highlands and. UK mainland places. Taken out of my car which I have owned since new. with magazine to put 6 cds in. PART NUMBER: 6977766. BMW E53 X5 3.0D 4.4i 4.8is 2003-2006. MODEL: X5 E53 3.0D. Cash on collection. All our used parts are in good condition and are tested prior to dispatch. BODY TYPE ITEM CONDITION. 61126913954 3 Series E46 Saloon 316i N40 (AY11) 01.09.2000 - 0.014 kg. 61126913954 3 Series E46 Saloon 318d M47 (EU51) 01.09.2000 - 0.014 kg. 61126913954 3 Series E46 Saloon 320i M52 (AM11) 01.09.2000 - 0.014 kg. Removed from a 2002 BMW 3 SERIES E46 318CI SE Coupe this CD Magazine Suits E46,E39,E53 And Some E85 Models The BMW Part Number for this item is 65126913390 Please use all the information supplied in this listing to ensure this item is compatible with your Vehicle. If you have any questions please contact us quoting "Tag Number 41832 . Removed from: BMW X5 E53 3.0 D AUTO 2001 (PRE-FACELIFT). Arran - KA27 KA25. Oban - PH 33, PA20-49, PA60-80, KA28. Inverness - ALL. Shetland ZE1-3. Orkney KW15-17. (for orders sent via TNT, DPD or Palletways). Part Number: 6908950. Donor Vehicle: BMW X5 E53 2001. Condition/Serviceability: ITEM IS IN GOOD USED CONDITION. Removed from a 2002 BMW 5 SERIES E39 530I SPORT 4 DOOR SALOON This CD Magazine suits E46 3 Series E39 5 Series E53 X5 models The BMW Part Number for this item is 61128364931 Please use all the information supplied in this listing to ensure this item is compatible with your Vehicle. If you have any questions please contact us quoting "Tag Number 39173 . All our used parts are in good condition(unless stated otherwise) and are tested prior to dispatch. Genuine & original BMW CD Changer. Your understanding and patience will be highly appreciated. 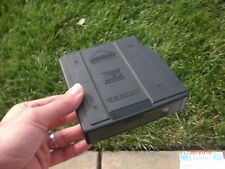 USED IN GOOD WORKING CONDITION PRIOR TO REMOVAL. However all marks considered bigger than normal wear will be listed. 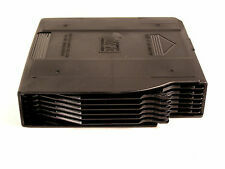 THIS IS A BUY IT NOW PRICE FOR A BMW MINI 6 Disc CD Boot Changer R50 R52 R53 2001 - 2008. The CD Changer units are in full working condition tested and on the shelf. The unit May will require coding. Removed from 3 Series E90 318I LCI 2011. We will ALWAYS try our best to help. BMW E46 Casette and CD changer. 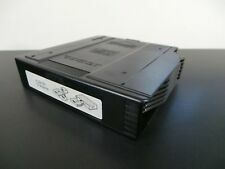 BMW E46 Cassette and CD changer. IF YOU HAVE INTERESTED IN OTHER EXTERIOR BODY PARTS, INTERIOR PARTS,ENGINE PARTS, GEAR BOX, SUSPENSION & STEERING, EXHAUST PARTS,ELECTRICAL COMPONENTS, TRANSMISSION & DRIVETRAIN. R50 / R52 / R53, Mini - 2001-2006. E83, X3 - 2000-2005. E53, X5 - 2001-2005. E39, 5 series - 1996-2003. BMW CD Multi Changer No Magazine . E46, 3 series - 1998-2005. BMW 6 disc CD changer. Mostly these are fitted in the boot (X3 models - mounted in the centre console between the two front seats). R55 R56 2006 > 2010. BMW MINI 6 Disc CD Changer. LHD = Left Hand Drive. RHD = Right Hand Drive. OS = Off Side(Right). NS = Near Side(Left). RH = Right Hand. LH = Left Hand. For sale BMW E46 E39 X5 E53 CD Changer and Stereo HARNESS LOOM Wiring with Plugs.